Too busy to sit down for a relaxed smoke but crave something strong? 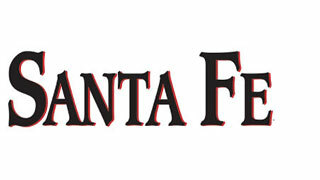 Santa Fe Filtered Cigars are made for smokers like you. Packing the quality and flavor of premium cigars in the size of cigarettes, these cigars are definitely one of a kind. The intense tobacco flavor of these machine-made cigars along with a smooth Colorado Claro wrapper will leave you asking for more. With a length of 3 ⅞ inches and a ring gauge of 20, the cigars will not only fit easily in your pocket but also in your budget. To cater to every taste bud, these cigars are available in a range of flavors. If the pure taste of tobacco, offered by the Full Flavor cigars is too much to handle for you, try the Mild ones for a soothing smoke. Even the Menthol flavor comes with a milder version, Mild Menthol which has a subtle variation of the refreshingly cool menthol flavor. The flavors of Grape, Peach and Strawberry will satiate your craving for a fruity flavor. The flavorful tobacco blend gives out a pleasant and aromatic smoke. Though smaller in size, these cigars are slow to burn and last longer than your regular cigarette. Produced by Swisher International Inc. in Jacksonville, Florida, the Santa Fe Filtered Cigars are known for their excellent construction which does not require them to be cut. The filter also does not allow stray tobacco flakes to spoil your smoking experience. Sold in cigarette-like packs of 10 with 20 cigars each, these easy-to-carry cigars will make even the shortest of smoke breaks memorable. • Origin: Machine - Made in Jacksonville, Florida.